For this week’s image, I wanted to go with something completely different to last time and I don’t think you can get much different than this! I talk a lot about favouring a photojournalistic approach to what I do, but I really do enjoy the portraiture associated with shooting the bride and groom together on their special day too. Often, the biggest hurdle to getting this right is the sheer lack of time for the couple to relax and get away from everyone else, but if planned properly, the results can be really spectacular. On this occasion, the bride had planned a four-hour window between the end of the wedding ceremony and the start of the reception. This meant we had plenty of time to take some family pictures inside the church and then head over to a local park to take shots of the wider bridal party and, finally, the couple together. It was great to have so much time to work with and the fact we weren’t rushed meant we could just relax and have fun. I think that feeling of relaxation definitely comes across in this picture. I spoke last week about the three main elements I look for being light, emotion and composition. During the shots of the bridal party, there was a layer of high cloud covering the sun the whole time that acted as a diffuser and gave us quite flat lighting to work with. Once we had wrapped that up (and stopped to cool down and grab a quick drink), the bride and groom headed back out with me to take some pictures together and we were greeted with very strong sunlight indeed. 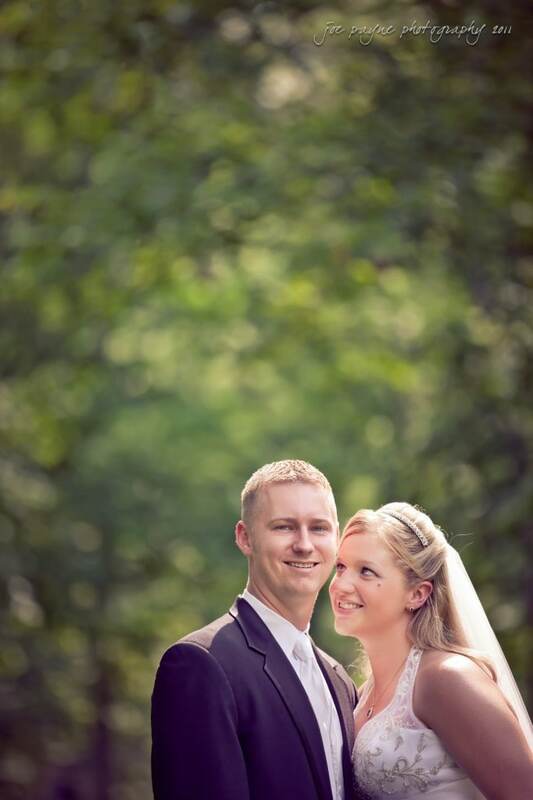 Rather than heading for open shade and setting up reflectors and flashes, we worked with the natural light to create some interesting effects. The sun catching the bride’s veil and providing rim lighting against the darker foliage in the background is something I really like. 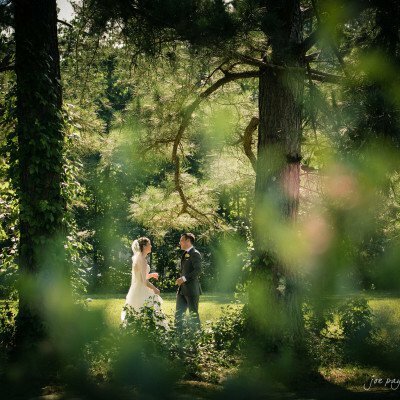 The composition is a bit different given the negative space of the diffused greenery, but I positioned the bride on the lower right hand side in order for her gaze to lead us up to her groom and, from there, around the rest of the image. 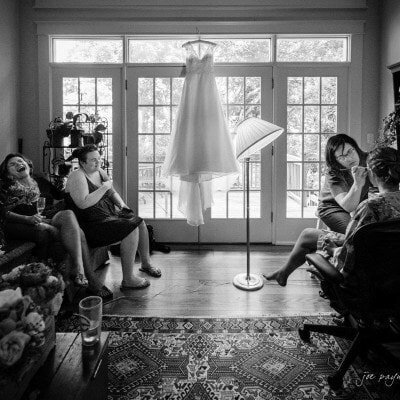 The thing that makes this picture for me though is the look on the bride’s face. I love how she is looking up at her husband with such a mixture of love and pride. This was a spontaneous moment where the emotion showed through amongst the more posed shots, and that is what makes it special for me. It is moments like these I try to find throughout the day. Thanks Christi! How are things back in Indy?